Season 2012-13 had echoes of the the previous two seasons, in that Vale retained their East of Scotland Premier Division place after a brush with relegation and once again had a good run in the Scottish Cup, reaching the Third Round. But it was a frustrating campaign in that, despite a very capable squad proving themselves amongst the best footballing teams in the East of Scotland League and seemingly destined for a top-half finish, an inability to hold onto a lead cost them dear, while what seemed a very unsettled squad that saw many comings and goings during the course of the season and robbed them of consistency. The summer saw several players moving on, with defender Ricky Miller gaining a move to SFL club East Stirlingshire and midfielder Jordan Hall returning to his former club Whitehill Welfare. Long-serving players Andy Martin and Paul Greenhill departed the club for new challenges at Spartans and Craigroyston respectively, while striker Steve Radzynski and midfielder Chris Beaton both returned to former club Leith Athletic. Jamie Lauder signed for Musselburgh Athletic and although it was hoped goalkeeper Craig Weir would remain at the club, he too decided to leave for pastures new. To replenish trhe squad, co-managers Fraser Ogilvie and Kerr Dodds recruited heavily from Junior football, with goalkeeper Sinclair Inglis and cousin Chris Inglis arriving from Tranent Juniors, alongside Penicuik Athletic trio of defender Jerry Draper, forward Mark Smith and ex-Edinburgh City and Spartans striker Danny Noon. Defender Chris Gordon was signed from Musselburgh Athletic, left sided midfielder Chris Gray from Bonnyrigg Rose and former Hibs and Inverness Caledonian Thistle player Darran Thomson from Spartans Juniors. Also arriving were Kayne Paterson from Craigroyston and proving to be a real find was skilful wide midfielder Martin Cairney from amateur football. In the dugout, the management team were assisted by coach Mark Paterson, father of Kayne and Jamie Paterson. As the players gathered for pre-season training they were joined by a player rated at £2m – Peebles-based ex-Rangers and Hibernian player Kevin Thomson, whose first season following a move to Middlesbrough had been badly interrupted by injury, got involved in a number of training sessions as he battled his way back to fitness before resuming training with ‘Boro. Pre-season kicked off with a weekend tournament at Newburgh Juniors in aid of Sense Scotland, a charity dedicated to helping blind and deaf children. Alongside the hosts and Vale, also taking part were teams from St Johnstone and Raith Rovers. A 2-1 win over St Johnstone on the Saturday, thanks to goals from Scott Moffat and Chris Gordon, saw them through to the following day’s final where they met Raith, who had come back from two goals down in their semi final to overcome the hosts 3-2. Vale ran the Kirkcaldy side, who had a few first team players in their line up, very close in a competitive game, but the 90 minutes failed to produce a goal and Raith went on to win the resulting penalty shoot out 3-1. The remainder of the pre-season games saw a 2-1 win against Gala Fairydean and the same score in reverse against Newtongrange Star before a Hibernian XI visited Victoria Park. Nothing much went right for Vale in the game, with Jay Doyle’s 17th minute opener giving the SPL side the lead at half time. Vale goalkeeper Sinclair Inglis, who had spent the latter part of the first half struggling with a leg injury, was finally forced to depart the action in the 65th minute. The visitors’ offer of lending Vale their substitute keeper was blocked by the referee, so defender Stephen Sproule took over between the posts. Hibs’ trialist substitute then scored a double in the space of ten minutes, before Martin Cairney was controversially shown a second yellow card by the referee eight minutes from time and the trialist grabbed another couple in the last few minutes to make the final score 5-0 to Hibs. The East of Scotland season once again kicked off with the popular Qualifying League, with Vale starting off with a 4-2 victory at home over Ormiston, before suffering a 3-0 reverse against Heriot-Watt University, also at Victoria Park. A midweek draw at Coldstream meant that Vale went into their final game against Spartans at Ainslie Park knowing that a win would see them through to the East of Scotland League Cup later in the season and following a Wayne Sproule first-half penalty, they were on course to do so at the ninety minute mark. But the cruel side of football well and truly raised its head as former Vale player Andy Martin stabbed home an equaliser in the first minute of injury time. In the sixth minute of added time, Vale were awarded a free kick on the edge of the Spartans area and, needing to win the game to make certain of qualification, flooded players forward. The free kick was cleared and Jack Beesley carried the ball upfield before setting up Chris Anderson to slot home the winner and leave Vale devastated. But Vale had to pick themselves up quickly as the William Hill Scottish Cup First Round was next up – a tricky tie to Meadow Park, Castle Douglas to face Threave Rovers. A wrong turning on the motorway saw the players arrive at the ground barely half an hour before kick off, but it probably worked to Vale’s advantage as the players had little time to get nervous before kick off. A Danny Noon header in the second minute of the second half was enough to ensure Vale’s safe passage, although the game was won more comfortably than the scoreline suggested as Threave, whose long-serving manager Dave McVitie resigned after the game, failed to make life uncomfortable for their visitors. The Central Taxis East of Scotland Premier Division campaign started with a 3-3 draw with Edinburgh University in Innerleithen, a late goal from Danny Noon ensuring a point after the students had held the lead twice and Vale once. A midweek visit to Meadowbank saw Danny Noon open the scoring against his old club before Edinburgh City’s Andy Howat made it all square at half time. Goals from Chris Gray and Martin Cairney in the second half though, ensured that all three points went to Vale. Another 3-3 draw at Saughton against Lothian Thistle Hutchison Vale was a sore one to take, as goals from Chris Inglis, Danny Noon and Martin Cairney saw Vale with a 3-0 half time lead, but they contrived to throw the lead away in the second half as preventable goals from Lloyd Dignan and Matt Costello brought the home side back into the game before a controversial last minute penalty was tucked home by Ross Elliot. A draw at home against Spartans kept the unbeaten run going as Danny Noon equalised Jack Beesley’s first half opener, as did a 3-2 victory over Ormiston in the First Round of the South Region Challenge Cup. The Second Round of the Scottish Cup threw up a Borders derby as Vale drew Selkirk away. 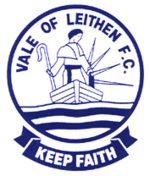 Vale were perhaps lucky to escape from Yarrow Park with a replay, as underdogs Selkirk, relegated the previous season and off to a disastrous start in the East of Scotland First Division, turned in a battling performance. The Souters took the lead in the 24th minute as a Jamie Aitkin cross into the area resulted in a goalmouth scramble that ended with Euan Pritchard poking the ball home. There seemed no way past John Dodds in the Selkirk goal for Vale, but the game turned on a second yellow card handed to Selkirk striker Jamie Gibson for what looked a rather innocuous challenge on Chris Gray ten minutes from time, and the resulting free kick into the area dropped kindly for Wayne Sproule to volley home an equaliser. The replay at Victoria Park the following Saturday was a completely different game as Vale, knowing that a win would reward them with a trip to SFL First Division side Cowdenbeath, took an early lead in the 12th minute through Wayne Sproule. The Souters, missing key striker Jamie Gibson through suspension, Euan Pritchard and Jason Inglis through injury and also without Kenny Munro and Lee Stephen, failed to compete at the level they had the previous week and found themselves overrun in the second half. Five minutes after the restart Danny Noon (pictured left) headed home, then Scott Moffat knocked home a Martin Cainrney cross. With ten minutes remaining Kerr Dodds rounded his namesake in the Selkirk goal for another, before a second for Moffat made it five. Jonny Watt hit a late consolation for Selkirk, but Vale’s place in the next round was already assured. Back in the Premier Division, Vale picked up a useful point away to defending champions Stirling University. Kerr Dodds put Vale in front in the 17th minute, but a Paul Sludden header drew Stirling level early in the second half. For once luck was with Vale as the home side were awarded a penalty ten minutes from time, but Creag Robertson’s spot kick was saved by keeper James Hudson, who also denied Chris Geddes with a superb block late on. But Vale’s nine game unbeaten run came to an end in the South Region Cup as Edinburgh City came to Victoria Park and left with a place in the Third Round. The two teams were the East of Scotland’s two remaining representatives in the Scottish Cup and the crowd included not only interested onlookers from Vale’s opponents Cowdenbeath, but from Queen of the South, who were facing the Citizens the following week as well. A Dougie Gair penalty early in the second half put the visitors in the lead and the advantage was doubled by Peter Stenhouse in the 67th minute. The game’s most controversial moment occurred with 12 minutes remaining – Vale’s Danny Noon and defender Callum McLean both challenged for a ball in the area, with both players going to ground and McLean appearing to handle the ball. Certainly the far side assistant referee flagged that an offence had taken place, but the referee elected to wave play on – a decision which incensed Vale as a goal at this stage would have set up a grandstand finish. As it was, Vale did pull one back three minutes from time as Devlin curled a free kick over the wall from 20 yards that City keeper Alan Macintosh got nowhere near to, but with City employing some streetwise tactics to run the clock down, it was too late for Vale. That defeat in 1996 had been at the hands of Whitehill Welfare as they ran in ten without reply at Victoria Park on the final day of the season, so the omens were not good as the Rosewell side provided Vale’s next opponents at Ferguson Park, where Vale had not picked up three league points since the 80s. Although Wayne Sproule opened the scoring for Vale, a strike from Scott McCulloch brought the home side level within four minutes before Ryan McKenzie was red-carded for a challenge in the area on McCulloch and Aaron Somerville dispatched the penalty. Scott Devlin equalised for Vale, but McCulloch capitalised on a miskick by Vale defender Chris Gordon to score what proved to be the winner for Whitehill, who had been reduced to ten men themselves in bizarre circumstances as Andrew Kidd picked up a second booking for dissent as he was in the process of being substituted. Another 3-2 scoreline saw Vale exit the Image Printers East of Scotland Qualifying Cup against Gretna 2008. Vale drew first blood again as Jerry Draper curled a free kick in from the edge of the area, but it was another frustrating afternoon as a needless challenge by Chris Gordon on Adam Main allowed Dean Rea to bring Gretna level from the penalty spot just before half time. In the second half, some suicidal defending allowed Dean Armstrong to net twice in the space of two minutes to leave Vale chasing the game. Danny Noon cut Gretna’s lead to one goal as he knocked home Draper’s cross to set up a grandstand finish, but the visitors held firm against a bombardment of their goal in the closing stages. This proved to be Vale’s final game of 2013 as snow and freezing temperatures put paid to scheduled fixtures against Tynecastle, Edinburgh University, Civil Service Strollers and Heriot-Watt University before the Christmas and New Year break kicked in. But they got back to action in the first week of January with an extraordinary game against Preston Athletic at Pennypitt Stadium. Goals from Chris Inglis and Gary McCormack put Preston ahead before Danny Noon pulled one back for Vale late in the first half. The game went goal-crazy in the second half as Noon struck an equaliser and two goals in quick succession from Wayne Sproule and Jack Blaikie turned the game around to put Vale in the driving seat. But back came Preston as McCormack notched his second of the afternoon, before Kevin Morrison drew the score level again. Blaikie struck again to net what looked like would be the winner for Vale and Preston were reduced to ten men as McCormack picked up a second booking, but in the fourth minute of extra time substitute Ross Colquhoun bundled home a corner to make the final score five each. Vale’s interest in the cup competitions came to an end in the First Round of the King Cup early in February, a goal three minutes from time from ex-Vale midfielder Craig Dickson sealing a 2-1 win for Craigroyston and Vale suffered further defeats in the league to Spartans and Civil Service Strollers. The return game against Preston Athletic was a game to remember for Panners striker Sean Martin as he scored four to claim the points for the struggling East Lothian side to take a major step toward Premier Division safety, but it was a day to forget for Vale as the result saw them sink to the foot of the table. A thumping 6-1 victory at home against Lothian Thistle Hutchison Vale, who had goalkeeper Kevin Swain and Richie Wilkes red-carded early in the second half, was Vale’s first victory in five months and lifted them back off bottom place. Further postponements meant that Vale saw no more action during the month of March and discord amongst the squad saw a number of departures. Chris Gray had previously returned to Bonnyrigg Rose and Jerry Draper had also went back to Junior football with Tranent. They were followed out the door by captain Chris Gordon, coach Mark Paterson, Mark Smith, Wayne Sproule, Jamie Paterson, Kayne Paterson and Martin Cairney. The departure of goalkeeper James Hudson was another blow as Sinclair Inglis had suffered an ankle injury that would keep him out for the remainder of the season. Danny Noon was also recovering from surgery, while Kerr Dodds took the decision to step down from the position of co-manager to concentrate on playing. With a severely depleted squad and management, salvation came in the form of Chic McAleavy, who had recently resigned from Civil Service Strollers and came on as co-manager alongside Fraser Ogilvie. Almost the entire playing squad had also left Strollers in the wake of McAleavy’s departure and Charlie Brigain, John Ross Kerr, Charles McAleavy, Daniel McAleavy, Eddie Mearns and James Young followed to link up with their boss again in Innerleithen. The goalkeeping position was resolved with Mark Wilson back for a third spell at the club and also returning was David McGinlay, who agreed to help out with coaching for the remainder of the campaign. The newcomers made an immediate impact with a surprise victory over defending champions Stirling University and then a comprehensive win over, ironically, Civil Service Strollers. But below-par performances saw defeats at the hands of Tynecastle and Edinburgh City to plunge Vale back into the relegation dogfight. Heading into the final month of the season, the situation in the Premier Division was unusual to say the least. Spartans, Stirling University and Whitehill Welfare were locked in a three-way battle for the championship while, incredibly, none of the other nine sides were mathematically safe from relegation. Vale took as step towards safety with another surprise win over one of the championship challengers. A Kerr Dodds strike in the first half proved to be the only goal of the match against Whitehill and it was a superb all-round team performance by Vale, with Mark Wilson outstanding in goal. It proved to be only a temporary blip for the Rosewell side though, as they went on to capture the title anyway. It proved to be the final victory of the season as the last six fixtures saw Vale grind out draws against Gretna 2008, Heriot-Watt University and Edinburgh University to end up in seventh place. The final match of the season at Gretna was notable only for Scott Moffat’s solitary goal in a 4-1 loss – a strike which saw him overtake Danny Noon at the top of the scoring charts to finish up as the club’s top scorer for the third season in a row.